VIDEO: Verstappen and Raikkonen crash on lap one! 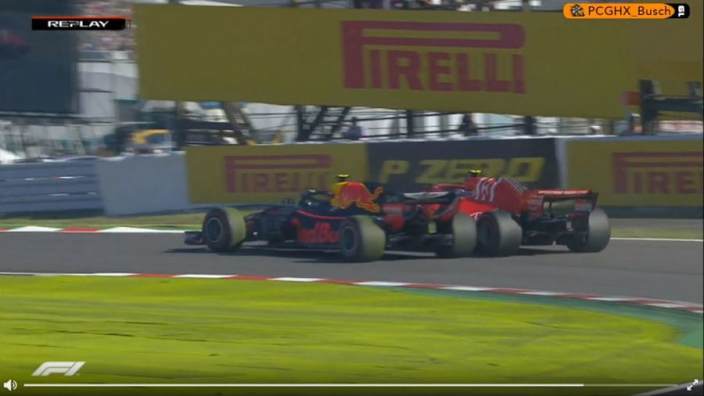 Max Verstappen and Kimi Raikkonen tangled on the opening lap of the Japanese Grand Prix, helping the Finn's Ferrari teammate Sebastian Vettel complete a brilliant start to the race in Suzuka. Vettel climbed to fifth before Verstappen and Raikkonen's collision helped Vettel pass his fellow Scuderia driver, but Verstappen just held onto P3 – with stewards investigating the incident. Finishes on the podium ??? ?